Some students choose to research and design their own cross-cultural experience. This option can fulfill the cross-cultural requirement if the experience is designed to study a significantly different culture; it has to be prepared for and intentionally undertaken with an academic goal in mind. Please review the IAS Step by Step Process and other information on this page before submitting your Individually Arranged Study Application. Examples of various types of IAS cross-cultural experiences can be found on this page as well. Outside Organization – Many students will choose to complete their cross-cultural experience with churches, missions groups, or service organizations. Keep in mind that trips that are primarily focused on tourism, evangelism, or benevolence may not include an acceptable amount of personal interaction time. We recommend that students always get prior approval from Lee before making a financial commitment to an experience with an outside organization. For more information about outside organizations interested in recruiting Lee students, see Get Involved Globally. Travel with Family and/or Friends – Students may plan a trip with family or friends as long as the time requirements for a cross-cultural experience are met and as long as the students have a plan for achieving the level of personal interaction necessary to complete the assignments for the course. Domestic Church Study – Another possibility is for students to opt to become active participants in a local domestic church or community that differs significantly from their own culture and language. See the Local Church Visitation Policy for detailed information about this option for completing an IAS cross-cultural experience. Lee University IAS Group Trips – Every year there are music ensembles, athletic groups, and other clubs or organizations that will submit a proposal and receive prior approval for the group to complete an IAS study experience together. Visit the page on Lee IAS Group Trips for information about submitting your application if you are participating in one of these cross-cultural experiences. Academic Semester Abroad – Some students choose to participate in a full semester study abroad academic experience not offered by Lee. To receive cross-cultural experience credit, students must receive prior approval from the university. Students who choose one of our Collaborative Programs or a program not affiliated with Lee must still complete an individually arranged application as part of the overall process. 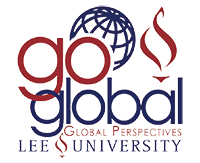 Students must complete the LEEU 102A Global Perspectives Seminar before completing an IAS cross-cultural experience. No student will receive credit for IAS experiences taken before the student enrolled in Lee University. Students who feel that they have extensive cross-cultural experience prior to enrolling at Lee should review the requirements for Exemption. Students who have taken cross-cultural experiences at a prior university should contact the Global Perspectives Office for a review of the itinerary and coursework to determine if transfer credit will be awarded. To receive credit, a proposal explaining the trip planned must be submitted. Writing a proposal is essentially writing the course syllabus for how the cross-cultural experience will be completed. A detailed description of how the target culture will be studied, how the required 45 hours of interaction will be completed, and the trip itinerary should be included in the proposal. The intent of the cross-cultural experience is for the student to complete an in-depth study of one distinct culture. For example, three case studies on French culture and two on German culture is not acceptable. Refer to the Global Perspectives website for proposal deadlines. Applications will not be accepted after these deadlines. Cross-cultural credit will not be given to students who miss regular semester classes due to their trip dates. Most mission trips, particularly those done in the U.S., DO NOT qualify as cross-cultural experiences. Make sure the group you want to study is a culture group that differs significantly from your own. Differences in class, ethnicity, and religion may not constitute cross-cultural differences. Your proposed experience must be approved by the Global Perspectives Committee prior to completing the experience in order for you to receive cross-cultural credit. No retroactive approval or credit will be given by the committee. After the application due date, the Global Perspectives Committee will meet to discuss proposals. Typically, within ten days of the application due date, applicants will be notified by email whether or not the proposal has been approved. After the proposal has been approved, students will be registered for the GNST 250 class for the term during which the study/travel will be conducted. The GNST 250 course is generally one credit hour. For information about how to request additional credit for an experience over one month in length, please contact the Global Perspectives Office. To receive cross-cultural credit, a student must complete 45 hours over a period of at least 7 days interacting with the target culture. Travel days do not count. To receive cross-cultural credit, journals and case studies must be completed on the trip. These requirements are covered in the GNST 250 syllabus, which is given during the class meeting and can also be found in the Moodle course.